Spring, ah spring—the gift of life that follows the quiet solitude of Winter. We often categorize seasons based on a few criteria: weather, temperature and observed patterns. But the Five Element Consciousness Framework also connects the seasons to taste, color, emotion, an element in Nature and an energetic organ system in the body. 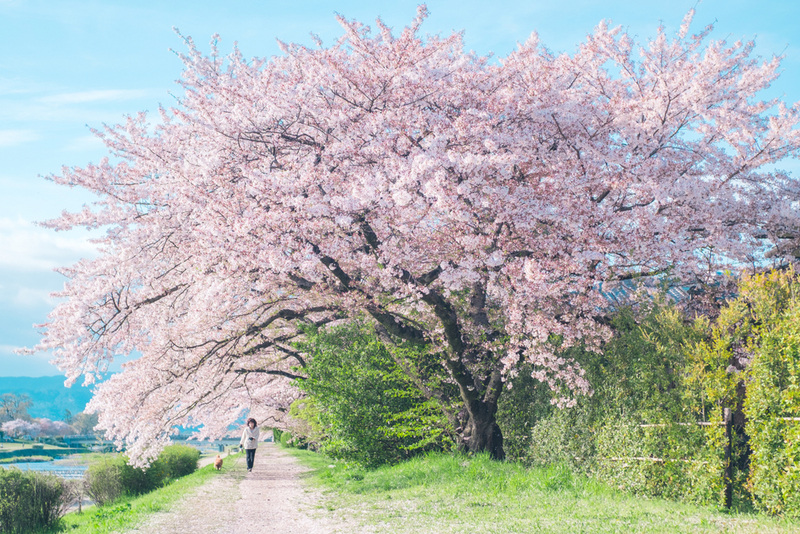 Spring is associated with sour foods, the color green, the emotion of anger, the Wood element and the energetic frequency of the Liver and Gallbladder. Wood is flexible and fearless. It goes with the flow. Picture a field of bamboo. Although rooted in the earth, this woody grass has a hollow stem, and can therefore move freely in the breeze. The same concept applies to our larger pines and the branches of even our thickest, sturdiest trees. When the wind blows, these trees gracefully dance in the moving wind. When the air stills, the trees remain firmly rooted. The ancient Chinese medical text, the Nei Jing, states, “When the seasons change, we should mirror these changes.” What does this mean for our modern world? To mirror Nature and all of its patterns, we must be mindful of all that surrounds us. Watch the birds as they gather sticks and leaves to make nests. Watch the trees as they sway, unafraid that they will lose their balance and fall. And watch flowers, fruits and vegetables that emerge from the ground with a burst of life. Spring is full of vibrancy—in Nature as well as in each and every one of us. By practicing flexibility, we dance freely and learn to let go of the negative energies that surround us. We release anger and stress by immersing ourselves in the green goodness of Nature’s vibrant landscape. We eat foods that are in season. And we use our stored energy from Winter to prepare ourselves for the emergence of life within us. Becoming one with Nature is a process. It isn’t something that happens overnight, in one season, or even in a handful of years. This is a lifetime goal; something that the greatest masters strive to achieve. So start at the beginning. Recognize that your Liver energy is at its height in the Spring season. In order to smoothly flow through Spring without allergies or health problems, you must help your body smoothly transition into the season. Start with food. Sour tastes vibrate at the same energy frequency as the Liver. Try eating pickles, vinegar-based foods and lots of locally grown Spring greens! Be calm. As we transition to warmer weather and begin to feel and see Nature’s transitions, take steps to calm yourself body, mind, and spirit. Rebuild your connection with Nature. As a child will mirror his or her parent, we too mirror our greatest teacher, Nature.